Brothers Max and Graham Fortgang say they were caught in the "New York hustle," drinking three espressos and an energy drink a day just to keep up. "We found ourselves in a vicious cycle of ups and downs," Graham says. "We felt like there was this fantasy about your morning cup -- that simply wasn’t measuring up to the reality." Their search for a better source of energy led them to matcha -- the powdered form of green tea leaves -- which not only helped them stay ahead, but inspired the opening of matcha-drink cafe MatchaBar in the Williamsburg neighborhood of Brooklyn in 2014, with matcha sourced directly from a family farm in Japan. The business has grown rapidly since. The brand now has two locations in New York City and another in Los Angeles and products -- flavored matcha drinks in bottles and cans -- in more than 1,000 stores across the country. MatchaBar has sold more than a million bottles and says it's the seventh-best-selling tea at Whole Foods. The company anticipates growth of more than 300 percent from 2017 to 2018. The brothers recently announced they closed an $8 million Series A funding round led by DJ and producer Diplo and NFL MVP Von Miller. (Drake took part in an earlier funding round.) 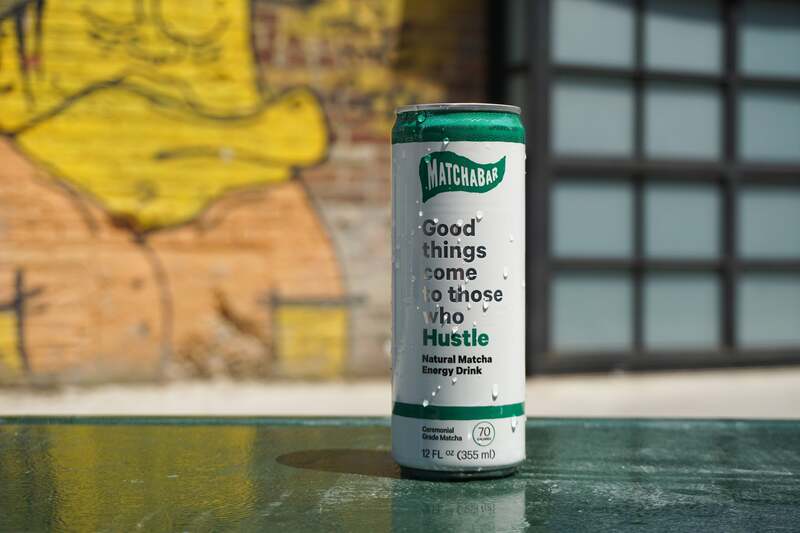 MatchaBar recently launched a sparkling energy drink, Hustle, that the brothers expect to double their retail footprint. In a follow-up interview, Graham provided more insight on the company's progress as well as shed light on what's driving its success. How did you land your first big distribution deal, and what can entrepreneurs learn from it? It was a very passionate pitch to the CEO of a local distributor in New York. At the time, we had already planted our flag in the retail space as the first matcha cafe in the country and built a cultish following of matcha enthusiasts. The next step was to convince this distributor that the work we had done in the matcha space was significant enough to build a beverage brand. My advice for entrepreneurs is twofold. First, sell the category, not just yourself/your brand. If you can sell them on the category, you can sell them on helping you lead it. Second, bring something to the table. Leverage your hustle! For us, it was a compelling social media following, positive press and a genuine story of two brothers traveling the country sharing their matcha where it mattered. Every industry has its own set of challenges. What is a big one in your industry? Education. For our category specifically, the biggest hurdle to clear has been putting the product on the cultural map. How do you create a matcha culture in this country where there once was none? Answering this question has been the biggest challenge. Fast-forward four years, matcha is now available at every Starbucks and Peet's Coffee, you can find it in third-wave coffee chains like Intelligentsia, and it’s used as an ingredient in desserts, in smoothie shops and so much more. Matcha has broken through the cultural landscape and been accepted as a stable in the beverage world. What marketing tactic has been the most effective for your brand? What can entrepreneurs learn from your experience? The most effective marketing tactic has been investing in growing a genuine community with partners that truly care about the brand and mission to bring matcha to the people. Over the past four years we have done that through building communities at our cafes, activations at music and tech conferences around the country and, of course, on the social landscape. Each partner, no matter how big or small, plays a pivotal role in representing your brand lifestyle. One example of how we activate our community lies in our upcoming Gift the Hustle social campaign surrounding the launch of Hustle. We partnered with Diplo, Billie Eilish, Von Miller and Ansel Elgort and a host of influencers and what we call “local heroes” to empower our community to allow their following to share our new energy drink, Hustle, with their family and fans. With our Gift the Hustle campaign, our community is able to send their friends a free can of Hustle via Facebook Messenger redeemable at any Whole Foods Market nationwide. By giving our influencers a currency, allowing them to offer tangible value to their followings, we have created a platform that encourages peer-to-peer recommendation founded on the belief of gifting. Without our community behind us, we are nothing. Before MatchaBar I was working in the art world at museums and galleries, and Graham was in music doing event production. One would think our previous work experience would not apply to running a tea company, but that has not been our experience. The same community-building traits that served us well in our first occupations created the basis for this business as well -- connecting people with real emotion, a big heart and a common belief. For us, that reads “Good things come to those who hustle.” The community, the MatchaFam, that we built in Brooklyn still sustains us today -- and without it we would have never been able to launch and grow our business.